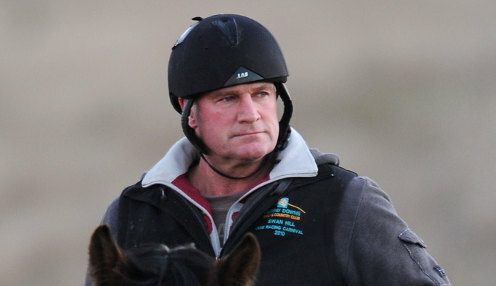 Trainer Darren Weir is expecting Theanswermyfriend to improve moving forward no matter what happens at Caulfield on Saturday afternoon. Theanswermyfriend will have his first run for Weir since switching from the Henry Dwyer stable and he believes he is fit enough to make an impact on the race despite having just two jump outs. Theanswermyfriend races in the Ladbrokes Cash Out Handicap (1400m) on Saturday and Weir says he will not be too disappointed if he does not end up in the winners' circle. "He is a very good galloper, don't worry about that," Weir said. "But I'm sure he has got a lot more to come after Saturday. "I've got no real expectations, he is an on speed horse and he will just roll along. He's been down at my beach stable, just poking around, he has had two jump outs and is ready to go. I've got no real set plans for him for the next couple of months, I just want to see how he goes on Saturday. "Hopefully we can get four or five good runs out of him this campaign. I'm not too worried about what he does on Saturday." Weir will also unveil another new galloper in his stable at Caulfield on Saturday, with mare Modern Wonder being transferred from Troy Corstens. "She is in the same boat as Theanswermyfriend, she is fit enough to win first up but she will improve with the run," Weir said. "With these sort of horses I am trying to get quite a few runs into them this campaign, I'm not too worried about having them wound up to win first-up." Meanwhile, The Autumn Sun is 18/5 to win the Golden Rose on 22nd September, with Plague Stone at 999/1 and Long Leaf at 20/1.